January is always a big month for web hosting as many individuals and businesses want to start the New Year fresh and ready to grow! 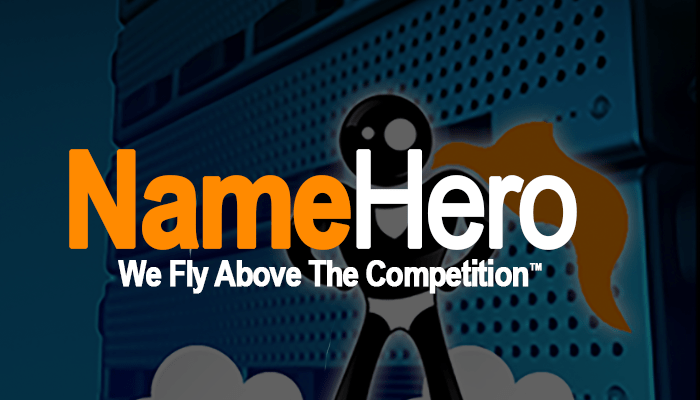 We’re gearing up for a big one here at NameHero as we’ve seen tremendous month-over-month growth on our Turbo Web Hosting platform credited much to our, network uptime, server speed, and overall customer service! SSD Web Hosting – Our private cloud has been built using Solid State Drives protected by Raid 10. Solid state drives don’t have any moving parts and they use flash memory to store data, which provides much better performance and reliability over an HDD. RAID 10, also known as RAID 1+0, combines disk mirroring and disk striping to protect data. Free SSL (https) – All domains and sub-domains hosted on our Web Hosting and Reseller Hosting accounts come with free and automatic SSL (https) powered by Let’s Encrypt. Let’s Encrypt is a free, automated, and open certificate authority (CA), run for the public’s benefit. It is a service provided by the Internet Security Research Group (ISRG). Multiple Versions Of PHP – Many customers want to test PHP 7 on their website, but aren’t sure if all their scripts are compatible. At NameHero, you can easily pick what version of PHP you want to run and configure extensions and upload limits all inside of cPanel. Given our growth in 2016 we’re stoked to see what 2017 has in store for us! We can’t wait to host your website, so feel free to let us know if you have any questions or if we can help migrate over your website for free! We’ll show you how we’re flying above the competition!